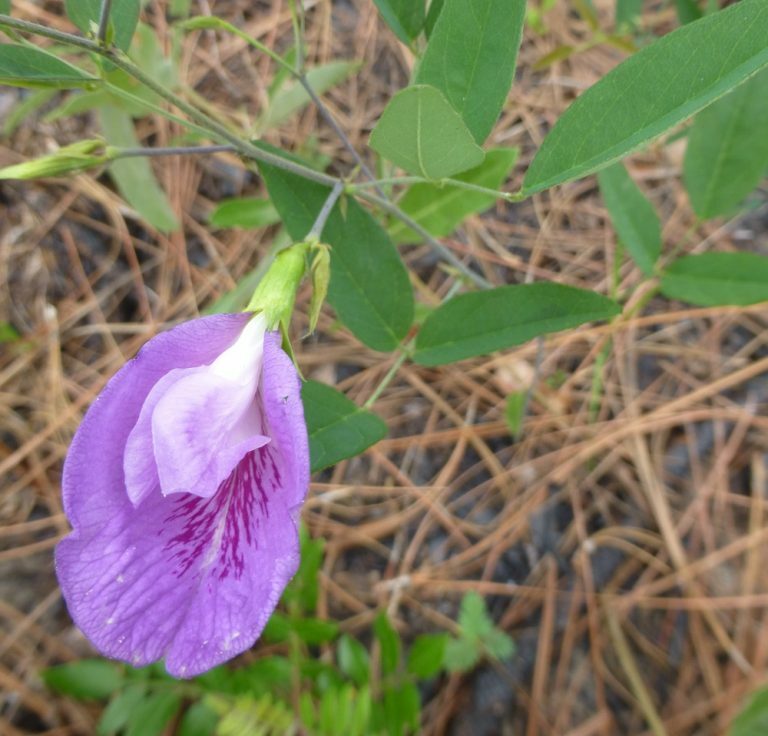 Habit: A perennial vine that will spread to about 4-6 feet in length. Leaves: 3 leaflets, entire, mostly ovate to ovate-lanceolate. 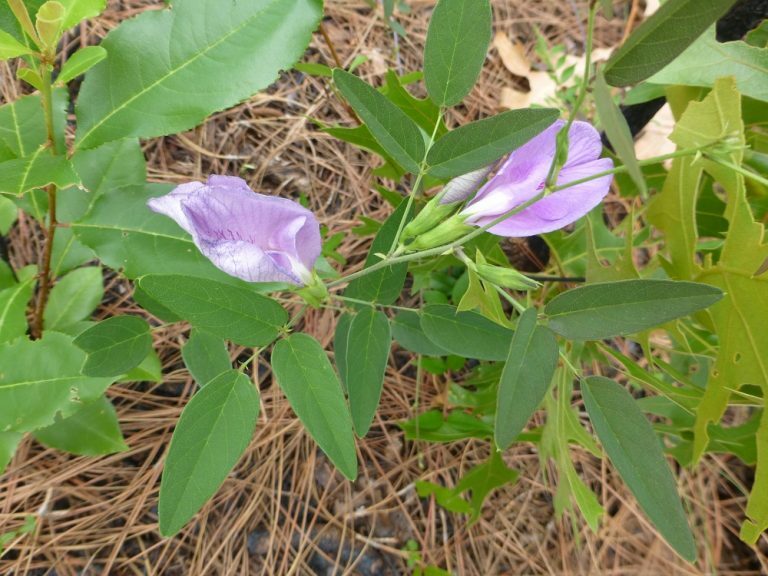 Flowers: Pale purple flowers appear in the summer. Habitat: Dry flatwoods, pine stands and sandhills. Landscape: Grows in part shade to full sun with average moisture. Wildlife use: Bees and butterflies use the flowers as a nectar source. Songbirds eat the seeds.